The US continues to be the most preferred nation for cross border shopping followed by China, UK and Singapore. Indian consumers and merchants are exploring opportunities in the global market place and millennials are taking maximum advantage of this opportunity. PayPal in partnership with IPSOS today launched the PayPal Cross Border 2015 Millennial report. Backed by the findings of this report and PayPal’s focus on the millennial segment, PayPal India launched ‘New Money’- PayPal’s vision for money, payments and commerce that champions a better way forward for its consumers and merchants in India and PayPal.me, a faster and personalised option for merchants to receive cross-border payments. “At PayPal, we are focussed on enabling digital payments in a safe and secure environment. New Money by PayPal caters to the millennial audiences encouraging them to ‘Switch to New’. PayPal.me offers a quicker and on-the-go facility for the freelancer segment to receive payments. Interestingly, a safer payment option takes priority over all other factors including discounts which makes us a preferred payment option with our focus on risk & security,” said, Anupam Pahuja, Country Manager and Managing Director, PayPal India. The PayPal and IPSOS Cross Border 2015 Millennials report evaluates the online and cross border shopping habits of over 23000 internet users across 29 countries including interviews of 517 millennials in India. It identifies factors that drive the age group of 18-34 to buy across the border, the barriers faced by them and their approach towards making international payments online. The research highlights, 59 per cent of millennials have shopped across the border for apparel and consumer electronics. Higher product quality was one of the key reasons for Indian millennials to choose products from global websites. A notable highlight of the report is the high incidence of event ticket purchases. Close to 79 per cent of Indian millennials shop for event tickets online. The US continues to be the most preferred nation for cross border shopping followed by China, UK and Singapore. The survey also reveals that Indian millennials have a preference for large global stores (like Amazon) while purchasing from another country. While millennials surveyed were most notably hindered to shop across the border by high delivery shipping costs, some of the other factors included difficult return process, unclear duty and tax structures, long delivery times, unfavourable conversion rates and payment option only in foreign currencies. Making online payments has emerged to be one of the most important aspects of cross border purchases. Being a generation that thrives on options, millennials prefer having the choice to pay in a currency of their choice. Complementing the survey findings, PayPal will soon roll out a series of promotions and programs for millennials to experience how New Money means No Boundaries. PayPal has also announced the launch of PayPal.me for business. 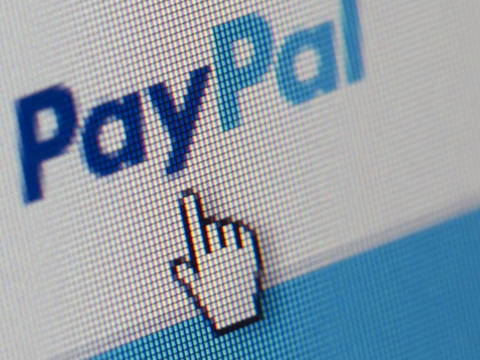 PayPal.me is a new business feature, which allows receiving payment via the click of a link in a fast, convenient and personalized way, backed by PayPal’s trusted and secure platform. “It is faster, personalised, global and safer and is aimed at freelancer services, casual sellers on social media platforms and for b2b sellers.